Ensure your business data is always up to date in all the places that people search for your company online. Perfect online presence with a click of the mouse. 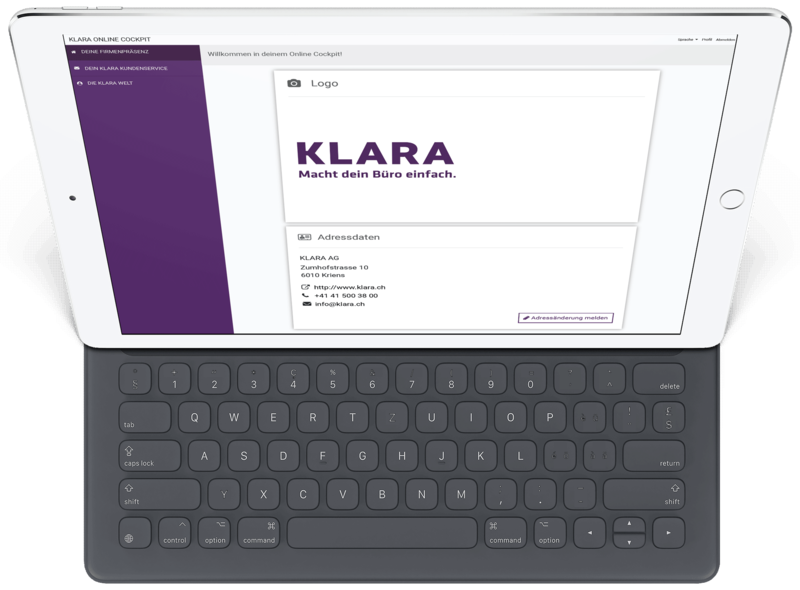 With the KLARA Online Cockpit, you can manage your company details in all the relevant Swiss online directories. Save time by managing your data in one place. Review management – your handy Online Cockpit expansion. - Overview of all incoming reviews. - Ability to respond to reviews yourself. - Responses to 12 reviews per year. - Responses to 24 reviews per year. Informative statistics relating to the search behaviour of your customers – shown clearly on a personalised dashboard. Ensure your opening hours are always up to date in the most important directories. Special opening hours (e.g. public holidays, works holidays) can be managed easily in one place. More and more customers are consulting online reviews before parting with their cash. With our Online Cockpit, you always know what people are saying about your business. Customers annoyed because their sat-nav is taking them to the wrong address? The Online Cockpit from KLARA makes problems like this a thing of the past. Update your address in one place and send it automatically to all relevant directories and navigation services. Not convinced yet? - We are happy to advise you.